Size of this preview: 800 × 408 pixels. Other resolutions: 320 × 163 pixels | 1,000 × 510 pixels. 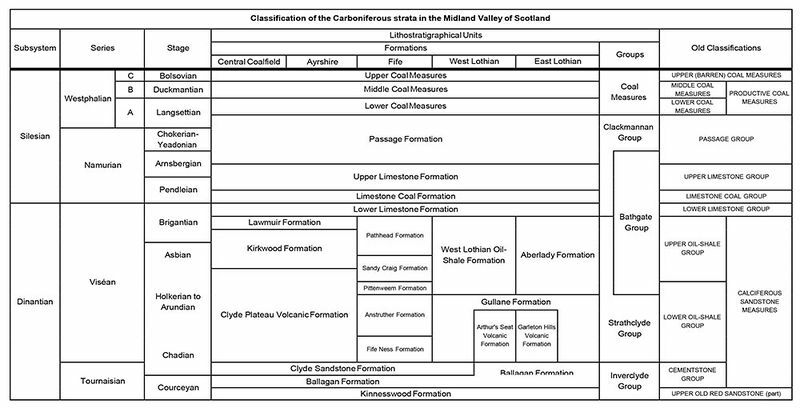 current 10:57, 29 June 2016 1,000 × 510 (112 KB) Dbk (Talk | contribs) Table 1 Classification of the Carboniferous strata in the Midland Valley of Scotland. 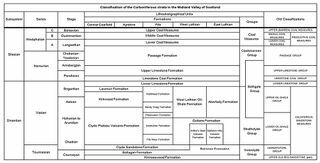 This page was last modified on 29 June 2016, at 10:57.